If you’re a regular reader of the Gear Institute, chances are you have a down jacket or two hanging in your closet. Down has been a staple of the outdoor industry for a long time, quite simply because it provides the greatest amount of warmth, and the least amount of bulk, of any insulation available. Those properties have made it very popular with climbers, backpackers, skiers, or anyone else who needs to stay warm when the mercury starts to drop. It is also why it is used so often in jackets and sleeping bags. But recently there have been several disturbing media reports about how down is harvested, often with shocking images of the way that the geese that produce it are treated during the process. This has lead some within the outdoor industry to question those practices, and to search for more ethical and humane ways of obtaining down without harming the animals. Leading the charge in this category is Allied Feather and Down, a company that doesn’t make any outdoor gear itself, but instead provides the down that is used in dozens of products manufactured by some of the top companies in the industry. Allied prides itself on working with down suppliers, buying the feathers in bulk, cleaning them and testing them for allergens and fill power, before passing them on to its partners for use in the products that we eventually buy. Back in 2008, working in conjunction with The North Face, Control Union, and the Textile Exchange, Allied became the first supplier to offer a Responsible Down Standard. The RDS allowed the company to be more transparent about who its suppliers were, how the down was harvested, and how well the animals were treated. This gave gear companies the piece of mind that they were using down that was sourced ethically, and it allowed consumers to know they were purchasing products that were made in a responsible way. Now, Allied is taking this process one step further by launching TrackMyDown.com, a website that allows consumers to see exactly where the down in the products they’ve purchased was sourced and treated. Participating brands will ship their jackets and sleeping bags with a special hangtag that will include a lot number for the down that was used to create that particular item. Customers can then visit the website and type in that number to discover exactly where the down was purchased, and how it proceeded through the supply chain. Some of the companies that have joined the project so far include Montane, Helly Hansen, Merrell, and a host of others. Recently Allied has also announced that Sierra Designs, Kelty, and Katabatic have joined the project as well. Each will begin shipping products in 2016 that include the special hangtag with the specific lot numbers printed on them. For Sierra Designs, the tags will be attached to all of its new 2016 sleeping bags, as well as all apparel that will start shipping in the fall of next year. 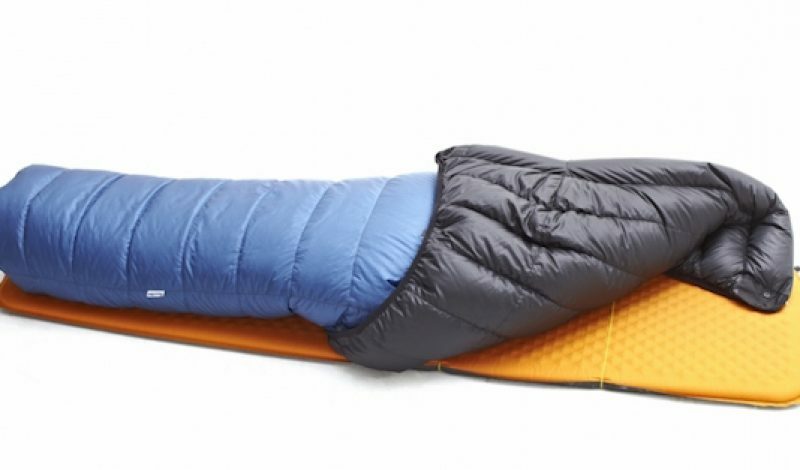 Kelty will include the TMD information on its 2016 line of Cosmic down sleeping bags, while Katabatic will add the tag to every one of its 2016 natural fill bags as well. This new initiative is just another way that the outdoor industry is working hard to minimize its impact on the environment, while also producing gear in a more ethical way. Hopefully more companies will join the Track My Down program moving forward, as it will be a good way for consumers to know who is committed to the Responsible Down Standard, and who is just putting out products without much concern for the world around us. Find out more at TrackMyDown.com.